When I traveled to Morocco I absolutely loved haggling in the market. To go into a shop knowing exactly what you are willing to pay, and start the price offer war was addicting! And ten times out of ten I would walk away with the little trinket at exactly the price I wanted it. But, if you’re an outdoor enthusiast, you don’t have to travel all the way to Africa to name your own price and purchase your favorite gear. BUYSTAND will make sure of it. That’s BUYSTAND’s motto. The platform is a buyer-driven marketplace empowering consumers to make their own offers on all their active lifestyle goods. The site is on a mission to “redefine commerce by empowering consumers.” This is a game-changer, folks. BUYSTAND is a fun, new way to shop online. It’s kind of like my Moroccan marketplace experience, but virtual (and less monkeys and yelling shop owners). 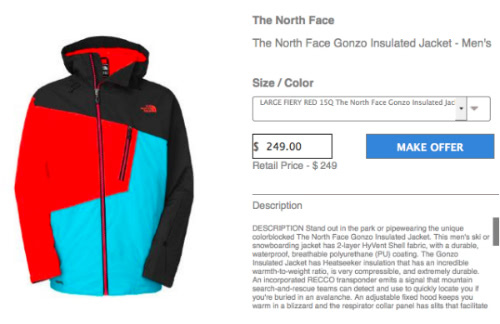 When you visit the site, you can search for specific outdoor gear like hiking boots, tents or backpacks, or you can shop by gender, brand collection or sport. I love this feature of the site. 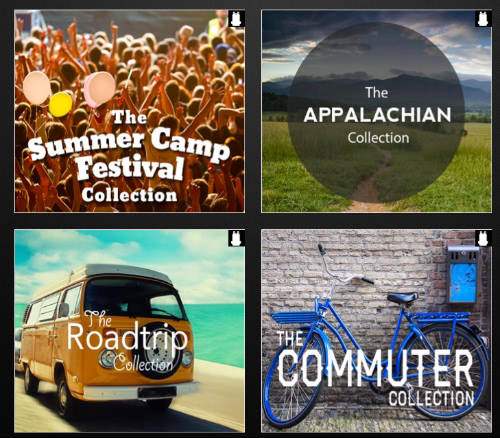 BUYSTAND has grouped their outdoor products into “collections” like “The Roadtrip Collection” or “The Early Morning Collection” or even “The Commuter Collection” to view all the gear you need for whatever activity you’re in to. Check out all the BUYSTAND collections here. EDGE pricing is the new way that BUYSTAND is helping brands and retailers optimize profit margins, protect brand equity and give real-time brand analytics all through capturing consumers’ true willingness by allowing them to “Make an Offer” on their products. Check out more info on EDGE pricing here. I just tested the site and it’s really that easy. I found a Creature Black Box Cooler with an MSRP of $35. I offered $30, and the site tells me the probability of my offer being accepted (which is medium in this case). If the offer is accepted, your credit card is charged that amount and the goodies are sent to your house. Boom. BUYSTAND also has a link to test out their beta, exclusively for KillerStartup readers. Check it out here. Now, start your BUYSTAND bidding and get kitted out for your summer concert road trip camping extravaganza this year.